Be it for gaming, listening to youtube videos or hanging out in the coffee shop, a good pair of Earbuds are good to have in your collection. If you are a music lover and fed-up with the wired devices, then definitely you need Wireless Earbuds. Compared to the wired earphones, wireless earbuds offer excellent bass sound, smooth, reliable, and deliver high performance throughout the lifespan. The lightweight and compact design make it easy to wear while running, driving without causing discomfort. Ideally speaking, the best earbud brands should have good sound quality and minimal distortion. Before you purchase wireless earbuds online, you need to know a few essential parameters like types of earbuds, cost, sound quality, soft cushioning, wired vs. wireless technology, etc that we have mentioned in our Earbuds Buying Guide. 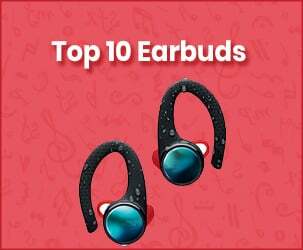 Here is the list of Best Earbuds in 2019 that are trending now. Look at the following comparison table to make an informed choice. The very first one in the list of top 10 headphones is Apple Air-pods. If you are planning to buy earbuds that offer exceptional sound quality, then this is for you. This model supports only on all Apple devices like iPhone, iPad and Mac laptops. To talk about the features, It includes optical sensors, Motion detection, and speed detection accelerometer and dual beam microphones. It eliminates the background noise and focuses entirely on the voice you hear from the other end. This Air-pod automatically connects and plays favorite music on iPhone, iPad, etc. once you remove from the charging case. You don't have to manually turn on the settings, tap on the screen to activate Siri for changing the volume, songs or make a call. Once you charge the headphones, you can use it for 24 hours without any disturbances. 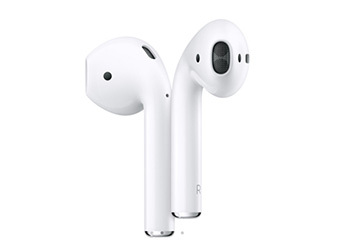 To conclude, the performance of Apple Air-pods is excellent and best to use for frequent travelers. It has long battery life and produces bass sound compared to traditional models. The only drawback is that it doesn’t support Android devices and not suitable for all ear types. 24 hours of battery backup time. Features dual optical sensors and motion-detection accelerometer. Wireless Bluetooth technology with control switch. Not suitable for all ear types. 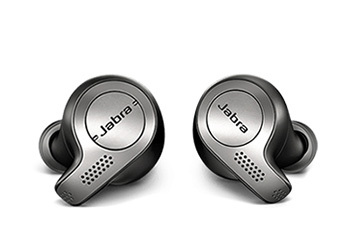 Jabra earbud is yet another popular model that is best for music lovers. It has a good track record in producing wireless connectivity options without any distortion. For this reason, we’ve considered the best earbuds in 2019. Compared to traditional models, it comes at high prices and the lightweight design makes it easy to carry to different locations. With a single touch button on the earbuds, you can filter out the unwanted surrounding sound. You can seamlessly connect earbuds to the smartphones using Bluetooth 5.0 network. Once you charge the battery with the help of pocket-friendly charging case, you can use it continuously for 15 hours. You can connect to Alexa, Google Assistant to get the information you want in searching for a restaurant, listening to songs, etc. On the whole, Jabra wireless earbuds are available in 3 different sizes - small, medium and large. Moreover, it is easy to install, setup and use the way you like. The manufacturer claims that the product comes with 2 years warranty against water and dust. What we don’t like is that it does not support Apple devices and the prices are too high for those who stick to the budget. Easy to access and control with fingertips. Comes in titanium black, gold beige and copper black colors. Expensive wireless earbuds in the list. Enjoy the true sound with the RHA headphones. This best suits those who are looking up to cutting-edge designs, excellent sound quality, and affordable price. 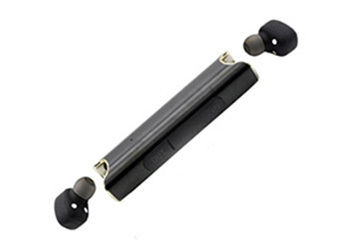 For this reason, we have given as the best budget wireless earphone in the list of top 10. It comes with Bluetooth 5.0 technology that enhances the call quality and music over the distance. The frequency range is between 20-20000 Hz and can communicate actively within 10-meters range. The right connects earbuds have 25 hours of battery life to boost the mood while traveling. It is absolutely a sweat-proof which means it does not damage the earbuds when you are jogging or take a walk. The noise isolation feature blocks the ambient noise to let you hear the sound emerging from the headphone. Unlike other brands, RHA earbuds offer three years of manufacturing warranty from the date of purchase. 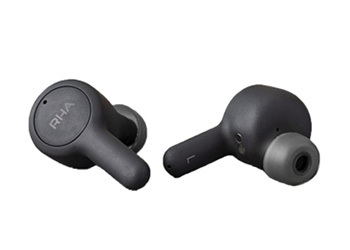 To conclude, the performance of RHA True Connect wireless earbuds is good for the price. It is straightforward to pair with smart devices and carry to different locations effortlessly. The only downside is that it may not be comfortable for a few people to wear. 3 years of warranty services. Battery life is around 25hours. 20-20000 Hz of the frequency range. Sweat, splash, and weather resistant earbuds. Stylish and compact design structure. May not be comfortable for a few people. Give it a try with Soundcore Wireless Earphones. It offers exceptional sound quality and brings joy when you listen to your favorite music. The superior calling experience will never let you compromise on the quality, and the 2-mics incorporates noise cancellation and stereo sound to enhance the user experience. Enjoy 5 hours of non-stop listening and an additional 15 hours of power when you kept in the charging case. To add on, the batteries are made of lithium and polymer materials which improve the reliability and usage capabilities. The integrated touch control option monitors phone calls, play/pause the music at one go. Above all, you will get a user-friendly manual which contains a set of instructions and guidelines to install the software and know how to use the earbuds. The good thing about the earphones is that they are comfortable to wear for long durations and performance matches with the high-end models in the market. The only thing is that ear tips may damage quickly which is not a major issue. If the battery runs out of time then you should keep in the charging case to full charge and listen to songs. Still, If you aren’t convinced with this earbuds, then go with the other popular models in the list. Number-5 is going to be from the top brand Sennheiser. Sennheiser is a multinational brand that designs and produces a wide range of products like earphones, mobile accessories, etc. One such model in the list is Sennheiser Wireless Earbuds. The touchpad technology embedded on both the earbuds gives access to control the music by adjusting the volume or play/stop. The voice-assistant feature helps to navigate the device just like Apple Siri and Google assistance. The slim and lightweight design of this wireless earbuds makes it easy to carry while traveling and the ear tips come in 4-sizes to secure comfortable fitting and deliver superior sound quality. Wrapping up, Sennheiser wireless earbuds offer uncompromised sound for the users. It is made of high-quality premium finish and durable materials to ensure long-lasting and is the reason for being an expensive model in the list. Other than that, it’s worth purchasing online. 5 hours of battery run time. Made of durable materials with a premium finish. When we talk about the sound quality and performance, nothing can beat the Bose Wireless Earbuds. These earbuds are for people who do workouts and listen to music daily. What has included in the box? It is specially designed to improve the signal strength and reliability of the wireless transmission network (i.e., an audio signal). 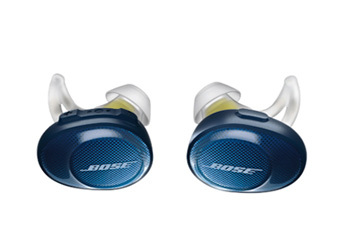 Moreover, these Bose earbuds feature the optimized volume and digital signal processing for balancing the sound. In general, water and earbuds is not a perfect combination. But, this model uses water-repellent mesh to keep the headphones dry inside and function appropriately without causing disturbances. The earbuds can play continuously for 5 hours and once it is done keep in charging case for further usage. Also, the bose connect app gives full access to adjust the volume, change the music, and attend calls, etc. To summarize, Bose earbud is an excellent choice for people with sensitive ears. The prices are a bit high because it uses quality materials and flexible options. It has a very short battery life of which you have to keep on charging mode for hours. Further, it is effortless to use and pair with smartphones. Bluetooth antenna for reliable connections. Battery life is not as expected. 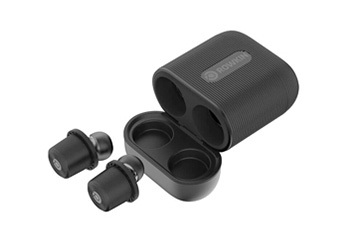 If you are searching for something new, then Rowkin Wireless Earbuds should be your choice. It occupied 7th position in the list of because of the average battery life and sound quality. To impress the customers, it has come with a unique design in 3 different colors - black, slate, and cobalt. Rowkin Micro Wireless Earbuds contains a lot of similar features noise filtration, Bluetooth, and smart connectivity app to improve the usage capabilities. Apart from that, the price is meager and comfortable to wear in-ears compared to other wireless earbuds. This earbud produces dynamic and impacts bass sound with the touch controls. Further, it also includes Bluetooth 5.0 technology with LDS (Laser Direct Structuring) antenna for secure wireless communication at a certain distance. The battery used in this product is rechargeable lithium-ion which has a lifespan of 17 hours on medium-level sounds to make audio/video calls, listen to live music and navigate settings through voice search. The earbuds come with a capacity of 60 mAh and 870 mAh for portable charging case to fasten the charging process. Another important thing is that it has a decent fit in ears and blocks the surrounding sound with the echo cancellation technology. Overall, the performance of Rowkin Wireless Earbuds is excellent and have a finite number of features that you expect from headphones. It is very comfortable to wear and navigate smartly using the voice assistant. There are few cons like not suitable for different people and damages quickly under the rain. 21 hours of charging time. Ergonomic fit and touch controls. Bluetooth 5.0 connectivity with LDS antenna. Next one in the list is from the brand Sony. Sony is an international brand that comes with innovative designs and technology to compete with the popular brands of the same niche. 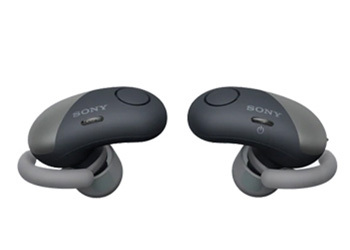 Sony Wireless Earbuds ranked number 8 in the list for its premium quality materials, reliability and flexible options. It has got the top-notch features like digital noise cancellation, Bluetooth, ambient sound and much more. With a single tap on the button, you can make a hands-free calling and talk with friends or family members for hours. It is possible to give commands via voice search using Google assistant application. These Sony earbuds are available in 4 different colors to select the right one that matches your style. It is highly comfortable, secure and ready to take along with you while traveling or at a gym. The Bluetooth and NFC connectivity held a strong connection between the peripherals, and you won’t be tangled with the wires. It uses IPX4-rating sweat and splash-resistant material along with silicon fitting to safeguard earbuds from damaging. Above all, this sony earphone gives 3 hours of music playback time and 9 hours when you connect with the charging case. The major drawback of this sony headsets is that there is no warranty information given by the manufacturer and doesn’t supply apple devices. Nine hours of music playback time. Power and volume buttons to monitor. Best wireless earbuds for travelers. Does not support Apple devices. Number 9 in the list is Eargasm Earplugs. It has brought a revolutionary change in bringing the outstanding bass sound and ambient sound to match with the customer requirements. It is a perfect device to communicate effectively with friends, family members and co-workers (public places, offices, industries and construction areas). A pair of earplugs are ready to use immediately once you set up and pair with the smart devices. The presence of aluminum carrying case keeps the invention simple and protects from moisture and dust. The hypo-allergenic soft silicone material makes it easy and comfortable to wear for a longer duration. Attenuation filter technology reduces the noise evenly by maintaining full sound and protects your ear (causing hearing loss). 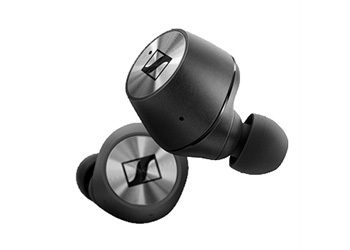 Overall, it offers a decent performance by placing comfortably into the ears. 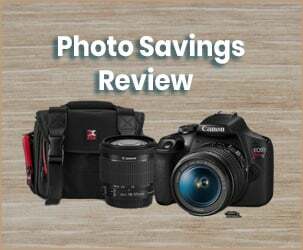 It comes at inexpensive prices and best for noise reduction. The maker did not disclose the warranty information and is available in a single color (few may regret with the color option). Before paying the bill check Eargasm Earplugs Coupons to grab a discount on your purchase. Note: Do not listen to music at high-volume, always operate earphones at safe mode. Comfortable with the active fit design. It is made of hypoallergenic silicone material. Available in the single color. Finally, we will end with the xFyro xS2 Wireless Earbud. This is yet another decent quality model that is designed to match with the customer requirements. 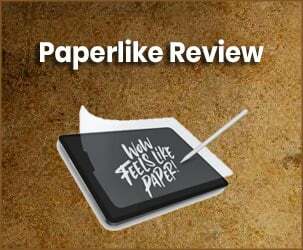 Moreover, it has very nice reviews and ratings online. That’s why we have listed among the best earphones in 2019. Compared to other favorite headphones, they come in a sleek, compact design and protects the buds when kept for charging or paired with the smart devices - TV, laptop, mobiles, etc. Moreover, it has built by keeping the client requirements like an ultra-comfort option, long battery life of 20-30 hours and superior sound quality. 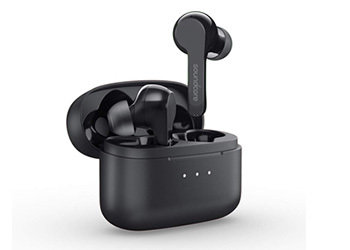 These wireless earbuds use cutting-edge Bluetooth 5.0 technology for a seamless connection between the peripheral devices. With a built-in microphone and touch-buttons, you can make phone calls and also play/pause the soothing music with ease. In a nutshell, the performance of this product is excellent and best for sports person. They are hard, waterproof and dustproof nature. 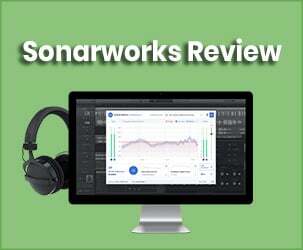 The only downside is that you may experience the sound issues after using for a few months. Apart from that, it’s worth purchasing online. While ordering from the official website they offering xFyro discount code to get a rebate on your shopping. Lightweight and portable wireless earbuds. Hands-free calling with HD sound. Backed with a 1-year manufacturing warranty. EarBuds Buying Guide - How to Choose the Right Earbud for You? Now that you have come across the earbud brands in this article. Let us dive into the earbuds buying guide that helps to pick the right one for you. The first and foremost things you should know is the types of earbuds available in the market. Earbuds are small, cheaper and paired with smartphones to listen to your favorite songs. Furthermore, they fit nicely into the ears and offer decent performance at the beginning. As the days go on, the situation became worse, and you may experience the poor sound quality. Comes at an affordable price range. Easy to set up and connect with smartphones. Drop out easily from ears. Sometimes you may have poor quality sound. The question “which type of earbud should I prefer?” always arises in mind to select the right one for your requirement or that makes you comfortable to wear and hear the soothing music. As of now, there are only 2 different types of earbuds that are available in the market - wired earbuds and wireless earbuds. Let us discuss each type in detail. Wired earbuds are the traditional earbuds that make use of the wired network to connect with the devices like PC’s, laptops, tablets, mobiles, etc. to listen to the audio clipping. Though it looks simple with the ergonomic design, offers high-end performance to the users. Compared to wireless earbuds, wired earbuds are cheap and easy to pair without the need for software. On the other end, you may experience noise when the connection is weak and supports only a few systems because of the port-connectivity option. Easy to use and pair with the supported devices. Supports only a few devices. The second type in the list is wireless earbuds. It is the most popular model in recent times because of the wireless technology. To make a secure communication between the devices, it uses Bluetooth technology which supports over a distance (say in meters). When you look at the wireless earbuds, it has come with plenty of designs to attract the customers. These are a bit pricey and offers excellent sound throughout the usage. The only downside is that it has a limited battery life. Apart from that, it’s worth purchasing online. Seamless connectivity and compatibility options. 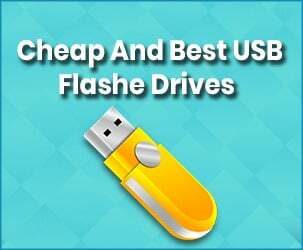 Easy to pair with multiple devices - laptops, mobiles, tablets, etc. Bit expensive than wired earbuds. Irrespective of smart features, the sound quality is what matters the most. Sound quality is measured as when you play a song, you hear soothing music without any disturbances. You can also adjust the volume to (+/-) for better quality. People are more concerned about the gadgets they use in day-to-day life. So, the manufacturers have come with a new feature called water-resistant earbuds. These models are newly introduced into the market to use during heavy rains and best to use for sports and fitness freaks. Battery life is yet another critical factor that you should consider while purchasing wireless earbuds. Few brands come with long battery life and vice versa. If you are a frequent traveler or use earbuds regularly, then it is better to opt for earbuds with 8-10 hours of battery life. Finally, we complete the earbud buying guide with the pricing factor. When you look at the high-end models in the store or online, they are a bit costly. It is because they offer top-notch performance in the industry. Few other brands are too cheap by featuring noise cancellation technology and surround sound. So, it’s an individual's choice to choose the right one within your budget range. What factors should I consider while purchasing an earbud? To help you in choosing the best brand earbuds, you must be familiar with the parameters like frequency response, sound clarity, Bluetooth technology, noise filtration technology, material quality, and price. All these factors tend to improve the performance and makes it worth buying at stores or online. Do earbuds come with water-resistant nature? In the given list of top 10, few brands feature water-resistant nature. It keeps the earbuds safe from damaging when you move out in the rain or while swimming. What are the side-effects of using earbuds? Earbuds damage your hearing if you listen continuously for hours duration. If you listen to the music more than the required decibels, you may also experience headache, deafness, ear pain, and infections. So, it is required to listen to favorite music at optimum levels by adjusting the volume buttons. How often can you wear earbuds in a day? It is possible to wear earbuds for a longer duration in a soft tone. Ideally speaking, you can listen to the songs for 1 hour a day by limiting the volume to 60%. The higher the amount, the shorter the time duration should be. How long do earbuds last? Compared to cable earbuds, wireless devices have shorter battery life. On average, Bluetooth earbuds have 3-5 hours of charging time and 8 hours for wired earbuds. How do wireless earbuds work? The working of wireless earbuds is such that it can be paired to smart devices through Bluetooth network and share the audio information via IR or radio signals at a distance (meters). What materials used in manufacturing earbuds? Anyone who enjoys watching movies, songs, live events, etc. can connect earbuds to smart TVs, laptops, mobiles. They are flexible to use and delivers top-notch performance by featuring quality materials like plastic, aluminum, rubber, memory foam, PVC and copper. This brings us to the conclusion part. So far we have discussed the best 10 earbuds that are in high demand. If you are very eager to purchase the best brand earbuds, then you must be familiar with the parameters like sound quality, noise filtration technology, earbud types, and the pricing factor. Our top pick from the list is Apple Airpods that has incredible bass sound, battery life and comfortable to wear in-ear. It is best to use for all age groups and comes at decent prices to offer better sound quality. If you think we are missing any of the popular models or have doubts regarding earbuds, let us know in the comment section. Our team of experts will be right away to answer your queries.